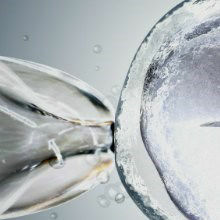 UK To Legalize Three-Parent IVF? 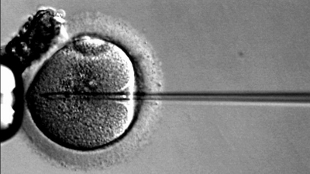 Regulators in England near the approval of a new mitochondrial replacement technique for creating embryos with less risk of developing certain heritable diseases. 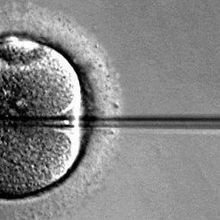 Sperm is injected into an oocyte in IVFWIKIMEDIA, EKEMSo called “three-parent” in vitro fertilization (IVF), in which two women and one man contribute DNA to the creation of a human fetus with a reduced risk of developing mitochondrial diseases, came one step closer to becoming a legal procedure last week in the United Kingdom. The UK Department of Health announced on Thursday (February 27) that it was opening a three-month public comment period on draft legislation that would legalize oocyte modification, an IVF method that involves transferring nuclear DNA from an egg cell of a woman with mitochondrial defects into the egg cell of an IVF donor egg with normal mitochondrial DNA before using donor sperm to fertilize the egg. “This is very good news for patients with mitochondrial DNA disease and an important step in the prevention of transmission of serious mitochondrial disease,” Newcastle University’s Doug Turnbull, who conducts research on the procedure, told The Guardian. The announcement follows the US Food and Drug Administration’s decision last week to gather public comment on the IVF technique’s future in the United States. 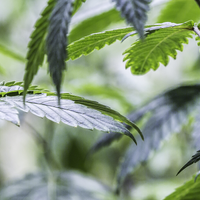 But approval of the procedure could happen sooner in the U.K. After the public consultation ends there on May 21, the UK government will decide whether to put the legislation before parliament for approval. Jeremy Farrar, director of the Wellcome Trust, told The Guardian that he hoped the government would act quickly. "Once further public consultation on the detail of these regulations is complete, we urge the government to move swiftly so that parliament can debate the regulations at the earliest opportunity and families affected by these devastating disorders can begin to benefit," he said.